DEAUVILLE, France, May 25, 2011 (ENS) – Nuclear safety and climate change as well as green growth and innovation top the agenda for the G8 Summit meeting where leaders of the world’s industrialized democracies will gather in Deauville May 26 and 27. The first G8 working session on Thursday will focus on nuclear safety and climate change. Following the unprecedented earthquake and tsunami that struck Japan and caused the ongoing nuclear crisis at the plant in Fukushima, the G8 will express solidarity with the Japanese authorities and people, according to a statement by the French Presidency. At the G8 Summit the leaders are expected to give fresh impetus to tightening international nuclear safety requirements. The leaders also will exchange thoughts on climate change six months ahead of the United Nations annual climate negotations scheduled this year for Durban, South Africa. In the area of green growth and innovation, the French Presidency said its placement of Internet issues on the agenda of the G8 Summit for the first time is its innovative contribution. The G8 heads of state and government will discuss the evolution of the Internet and its impact on both economic growth and the promotion of human rights and democratic freedoms – in light of the regime changes and popular uprisings across the Arab world this spring. Many demonstrators depended on the Internet for communication and organizing. The G8 inspired protests again this year. 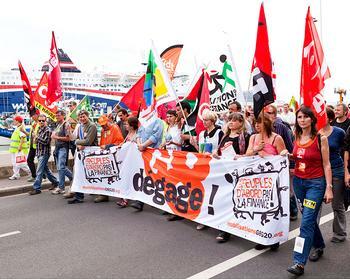 On Saturday, some 5,000 people took to the streets of the French port town of Le Havre, close to Deauville, where the Summit is being held. No arrests were reported, although some protesters attacked offices and banks, tagging walls and smashing windows. French police are out in force around Deauville. Some 12,000 paramilitary police and other authorities have been deployed to prevent demonstrations affecting the two-day summit. The G8 Summit was preceded by the first eG8 Forum on Internet and the Digital Economy, which wrapped up two days of meetings in Paris today. The eG8 Forum was organized at the initiative of French President Nicholas Sarkozy so that Internet leaders could express their insights in open and unrestricted debate, and that the conclusions of their discussions should be communicated to the G8 leaders. 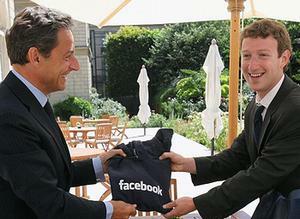 “The Internet’s multilateral dynamic, and the driving role that the private sector and civil society play in its development, have led me to invite the major stake-holders of this ecosystem to Paris, so that the meeting of heads of state can benefit from their vision,” President Sarkozy said, welcoming eG8 participants. In Tuesday’s debates at the eG8 Forum, many participants expressed the passionate conviction that governments should stay out of the way. “That’s tempting. However, some issues do require rules of the game,” said Neelie Kroes, European Commissioner for the Digital Agenda, in discussion with Ben Verwaayen, CEO of Alcatel-Lucent, a global provider technologies, applications and services based in Paris. “Those rules can be set by the parties themselves: the EU needs to listen to business leaders, bankers, broadcasters, the telecoms and content people, and they need to take responsibility. Only if the digital sector does not take up its responsibilities should political leaders step in to replace them,” agreed Kroes and Verwaayen. “To the G8 Heads of State, we need to say: Take this issue seriously. It’s on your agenda now and it needs to stay there. Make decisions, implement them and keep coming back to review them – e-health, e-government, e-learning. This needs to be a daily activity of every member state,” said Kroes and Verwaayen. In a working session Thursday afternoon, the G8 leaders will welcome five representatives from the eG8 Forum, who will share their conclusions. On Friday morning, heads of delegation from Egypt and Tunisia and international organizations – the United Nations, the World Bank, the International Monetary Fund, and the League of Arab States are scheduled to participate in a G8 working session. Also on Friday, heads of delegation from African countries and international organizations will participate in an Africa Partnership outreach session. The September 2009 Pittsburgh Summit made the G20 “the premier forum for international economic cooperation” to reflect the new global balances and the growing role of the emerging countries, the French Presidency said in a statement of its priorities for the Deauville Summit. But the international agency Oxfam warns that the G8 leaders have failed to keep their previous commitments to the world’s poor. 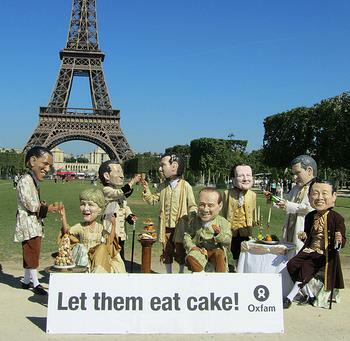 Oxfam showed up in	Paris with its signature “Big Heads” representing the G8 leaders to demonstrate the group’s contention that the leaders should guard against being all talk and no action. “If they leave this Summit with anything less than an action plan to get their promises back on track, it will signal a real shift from an active G8 to a think tank G8,” said Seery. G8 leaders can reinvigorate ongoing climate change negotiations by underscoring the urgent need for a binding international framework for tackling climate change and the funds for communities to adapt to the climate change already happening. They should also take seriously the innovative financing options already on the table to deliver new money for the fight against climate change and poverty, including a global financial transaction (or ‘Robin Hood’) tax on banks that could raise up to $400 billion a year, she said. The G8 also have an opportunity to take important action that won’t cost them a single penny by backing mandatory reporting laws for oil, gas and mining companies, such as the recently passed Dodd-Frank Act in the United States, Oxfam urged. In the runup to the G8 Summit meeting, the national science academies of several G8 and G20 countries are addressing joint statements to their respective heads of state, stressing the need for action in two critical areas of importance for developing countries – water and health and education for a science-based global development. “The immediate consequence is that diarrhea and associate illnesses kill 1.5 to 2 million children under the age of five, every year,” the academies state. 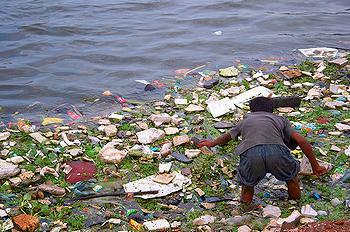 Faced with this situation – made even more critical because of the concentration of urban, domestic and industrial wastes – the science academies recommend that a priority action plan be implemented to provide sanitary equipment for supply of clean water and treatment of waste water, especially for schools in rural areas. They urge improved education and training in water management and water quality protection, especially for women, and that help be provided to assist in identifying pathogens and development of vaccines. The science academies recommend that globalization of knowledge be seen as an objective, with help for developing countries. They urge that support be given to distance learning via the Internet and open access to data banks and other sources of scientific literature. The academies support exchanges not only among research scientists but also with the general public, the media, and policy makers. Created at the initiative of France in 1975 to address the first oil crisis, the G8 is an informal group of advanced economies, which meets once a year at a Summit of Heads of State and Government. It has a role of guidance and political impetus. G8 members are Canada, France, Germany, Italy, Japan, Russia, the United Kingdom, the United States and the European Union. Composed of six members at its creation in 1975, and seven with Canada in 1976, the group became the G8 with the inclusion of Russia in 1998. The European Union has been associated since 1977. G8 members represent 15 percent of world population, 65 percent of GDP, and two thirds of international trade.